Welcome and thank you for stopping by today. The card is very simple but, very festive and clean. I stamped the Clover Circle Silhouette in Bamboo Leaves Memento ink. 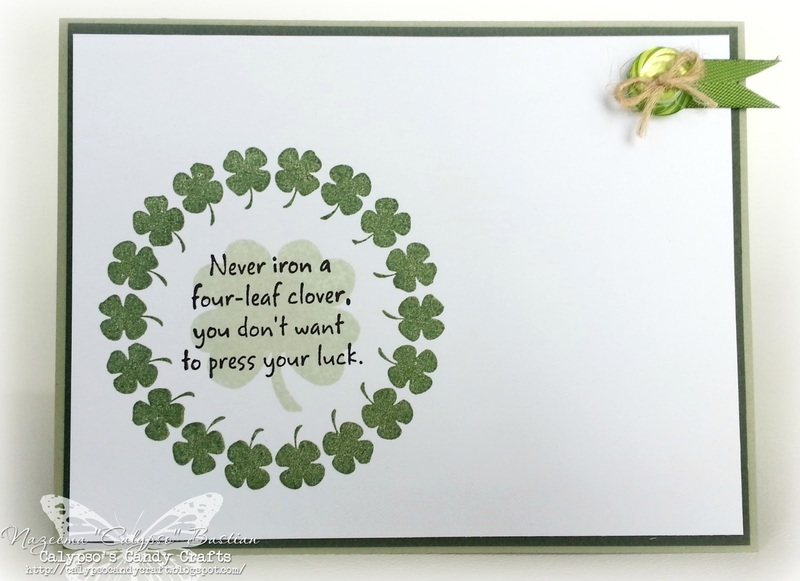 I then stamped the clover from the Four Leaf Luck Duo stamp set in grassroots shades and the sentiment in tuxedo black ink. Added a bit of ribbon and a button with twine to finish off the card. 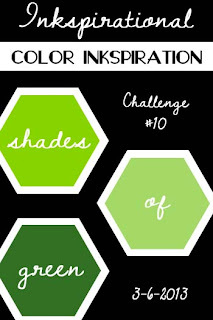 Our third monthly challenge can be found HERE, just a few more days to enter. Too cute. Thanks for joining us at Red Carpet Studio. Beautiful CAS card, love the design!! Lovde the clover circle- and your button embellishment. Great CAS card! Wow! I love this! What a clean look with just the perfect touch of embellishment. Your stamping is superb! So glad that you joined us at Inkspirational! Such a cool CAS card. Awesome job Calypso! Love the simple design of your card and the added twine and button.